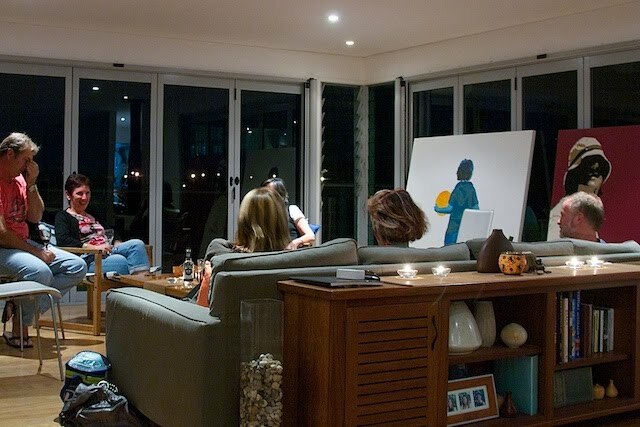 On a Thursday evening, the neighbours get together in one of our homes, perhaps five our six households worth at times, to have a quiet drink, a chat and perhaps a meal. We've always had a genuine community in our street, the product of living among a fine bunch of people and at the end of a culdesac I expect. The atmosphere is interesting now. We've grieved together as the resumption process marched on, swapped notes about our respective applications, and laughed about our tribulations, shared our triumphs. Now half of us are going and half remain as though nothing had happened or at least that's what "their people" would have us believe. Now half of us talk quietly of our plans for the future, not wanting to offend those who can't make plans of their own. I read the recommendation from the government's genius today. The report says that it will cost between one and two hundred million dollars to keep the highway on its original alignment. It says that about half the houses required to realign it have been resumed. Then it recommends that the realignment does not proceed, as it will disrupt our community. I wonder if "they" realise just how disrupted are they who now must remain. I wonder if "they" know what "community" actually is.